Payment Plan Available: Dental Implant + CEREC Crown package from $3,999 per tooth. Don’t need payment plan? Pay upfront and get a further 10% DISCOUNT at $3,599 per tooth. Modern technology has led to several innovations in the field of dental procedures. This is the reason why people today are given plenty of options on how they want their tooth and gum problems to be treated. All of these are indeed a very welcomed feature however, the broader and more expansive a service is, the more likely they can confuse their patrons. Let us help refine your search for the best dental implants in Sydney. It should be noted that the word best can have a number of implications. Because we have different tastes, what’s best for a person may not be the same for others. For that matter, preference is often included in the mix when talking about the dental implant procedure in Sydney. 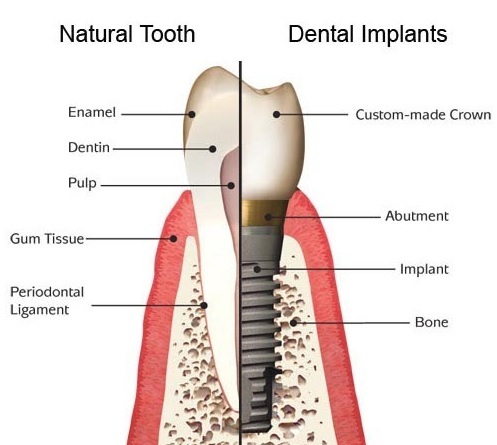 For instance, the skill and the background of a dental implant dentist in Sydney will be able to take a huge number of individuals to their service. Others value convenience and time and as such, they prefer to get dental services from the ones that are close to their area. As mentioned earlier, the tooth implant process is continually improving resulting to safer and more streamlined procedures hence, the introduction of mini dental implants, permanent dentures and the likes. Regardless of your choice, it is important that you find trusted and reputable dental clinics to provide you with quality service. You can start by checking out their website and reading feedback and reviews coming from their previous clients. Dental Implants: Safe or Not? Dental Implants: How Much Money Do We Need? At Sydney Dental Implant, we have a simple philosophy, which is to provide quality dental care, in a friendly and caring manner, at a good price point, to ensure that our patients receive value for money. Copyright 2018 © Sydney Dental Implant. All Rights Reserved.